While Spotify, Apple Music, Pandora, Google Play Music and others are making lots of press points and the wars between them intensify each day, that doesn’t change the fact that 80% of the population still consumes music on YouTube. 80% of the population still consumes music on YouTube. The funny thing is that YouTube is not even a music platform. The funny thing is that YouTube is not even a music platform, but a “video-sharing website” by definition. As such, the music experience on YouTube as basic as it can be. Music is perceived as a basic, daily commodity. And people are finding it un-natural to pay money for. Or as John Lennon once said: “Music is everybody’s possession. It’s only publishers who think that people own it.”. Not to mention the fact that those websites have limited music libraries and highly limited geographic availability. That is the reason why YouTube, as a free platform with an almost unlimited music library, is still the undisputed market leader, despite of the annoying video ads between songs, the poor audio quality on some of its content and the lack of anything but the most basic music related features. So yes, Spotify and others are struggling to provide an improved music experience, but in the end, Spotify, Apple Music, Pandora, Google Play Music and others are just more of the same. Spotify, Apple Music, Pandora, Google Play Music and others are just more of the same. The ultimate music experience = free + simple + legal + an unlimited music library – annoying ads + a secret ingredient. Imagine a free, video-ads-free YouTube. Will it be perfect? Well… almost. I mean yes, what else can we ask for? We are talking about music experience. An experience that can’t be satisfied only by browsing and playing music. Music is more than just that. When we first thought about BeatSense, we were wondering a lot about this “secret ingredient,” That thing that will elevate the experience of online music to that higher dimension where it belongs. We didn’t want to create just another Spotify, or another YouTube or even another TurnTable.fm that some of you remember. 2. You actually need to think about what you would like to hear, and then you have to search for it. Call us lazy, but that actually felt like too much hassle for us. 3. The UI is challenging and takes time to get used to. 4. The so-called “discovery algorithms” don’t actually work. The ultimate music experience = free + easy+ legal + an unlimited music library – annoying ads + secret ingredient. Building a system based on YouTube API solved the free, legal and the almost unlimited library variables. Well, BeatSense has no annoying video ads. Our goal was to make it as simple as a single click. Well, working with the best UI & UX dudes pretty much got us the “Simple UI” variable. How can we assure good music? Well, there is no artificial algorithm that is human enough to assure such a thing… hands off devs! This is where part of our secret ingredient comes into place. In BeatSense, all the playlists (AKA BeatRooms) can be real-time collaborative playlist, meaning that you can enjoy music together with your friends, co-workers, family and other Beatsters around the world, as if you are in the same physical place at the same time. So what? you are asking. Well… beside the fact that listening to music with people that share the same taste as you, while you are able to chat with them and give feedback to them in many ways. 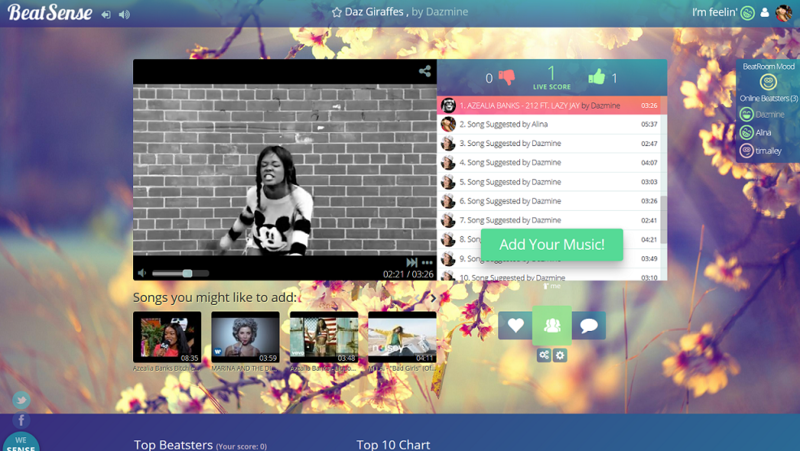 The music content in BeatSense is user-generated. That means that there is no magical algorithm involved. 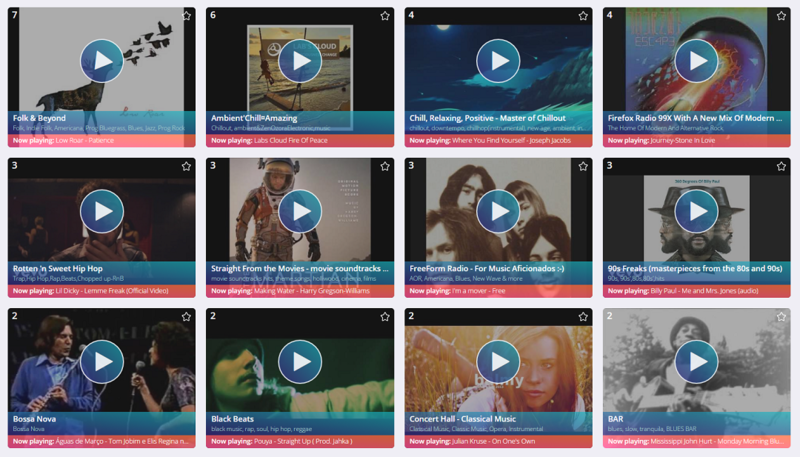 You select your favorite BeatRoom in a single click, then enjoy hand-picked music, suggested by real people that share the same taste and momentary context as you! Easy + good music– achieved.